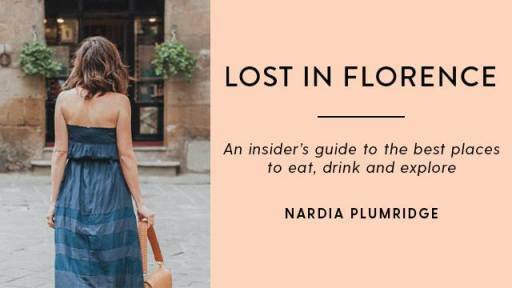 Meet Florence Connoisseur Nardia Plumridge: the woman behind the blog Lost in Florence - and the book! We are proud of this exclusive book presentation and are honored that Enoteca Sei Divino is featured in it as well !! This special night is exclusively for true Florence Connoisseurs who are passionate about this gorgeus city and are looking to get to know other people and share insider information. the event will start at 7pm with some wine, eat some bites and do some casual networking. To get it signed on the pre-sale, to get it signed on the spot! The event includes 2 glasses of wine and two of Sei Divino's aperitif dishes. How to join if you want to meet new friends in Florence, Nardia Plumridge.